Perfect for keeping that ruler in place. The Ruler Betty comes in 1/4" strips that you cut to your own specifications. We use 1/4" square pieces in several places along our rulers. 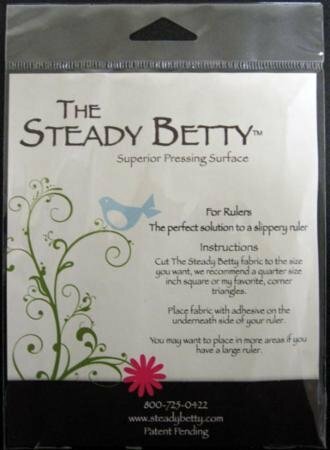 The Ruler Betty is made out of the same product as The Steady Betty and will glide over your fabric with ease.